Posted September 17, 2015 by K.C. 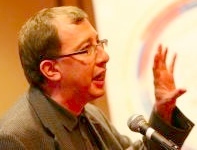 Hopson & filed under Event Marketing, Event Rebels Blog, Social Media, What's New. Talk to a marketing expert about your event, conference or trade show and almost certainly you will be told that social media needs to be a key component of your promotion. However, what is often missing is the advice on how to do have a great social media campaign. What do you tweet about? What should you post on Facebook? How do you get started? To answer these questions, it is important to reconsider a core principal of social media marketing. This concept involves the idea of a “spoke” – as in a bicycle tire. At the center of this spoke is the blog. The blog is at the center because it provides the material for your tweets, Facebook posts and other material. The blog is usually a written article, but it can also be other things – such as info-graphic, photo or video. That’s all great, you might think, but what would make for useful content for my conference? Fortunately, your conference probably is more compelling and has more fans than you think. So here are some topics that might be worth writing about. Save the Date. You should start promoting your event as soon the basic commitments are made. You can talk about the event’s theme, date, location, venue and premium sponsors. Theme. This is a topic you can usually repeat a few times. The theme typically has a meaning relevant to the organization and its membership. Consequently, this is something that can resonate with your readers. Of course, if you do not have a theme – get one! Your online registration form going live is another big date. Make sure to mention all your promotions including your early registration date! If you are holding an extra-regional conference, the destination city will be worthy of mention. Work with the appropriate CVB to promote the reasons why the attendee should come to the area. For this and most of the following blog items, it would be great to include a YouTube video. Likewise, the value proposition of your venue(s), such as a hotel or convention center, should be discussed. Your social media is a terrific way to deliver value to your premium sponsors. All the major sponsors probably deserve having a blog thanking them and describing their worth to your readers. This is also another good spot for a video. Doing this will help your future sponsor sales as you will be able to describe how many impressions the sponsors were given on your blog, videos and social media postings. Your other sponsors also need recognition. The classic thing to do is a list of sponsor logos. Why not improve on this and include the company’s byline and link to website? And thank them for being an important part of the show. Trade Show. If you have a trade show, then it also needs to be promoted on the blog. Noteworthy exhibitors, square footage, booth count, contests and so forth make for great material. Keynote Speakers. This is where you can come up with a lot of material. Ask each keynoter for a video and post this along with their background and relevance to the conference. Breakout presentations. You probably do not want to have a post on each of these (it should be on your agenda web pages), but you may want to give a picture of what the presentations offer. For example, you can unify them by track or day of conference. Your mobile app is an exciting tool for your attendees. Cover the many features and useful tools. Also describe how it can be downloaded and what is needed for use (like login). If you have app sponsors, you might also want to thank them. It’s always great to have the Apple and Google Play store icons with links to the app. Finally, don’t forget to mention the attendees! Talk about attendance numbers, demographics, countries represented and so forth. Also remember to mention how much you love them! Each blog can be sources for many social media posts. For example, your keynote blog can lead to tweets about the speaker and another tweet that links to their video. 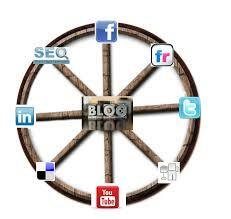 With an active blog, your event social media campaign can be a well oiled machine!